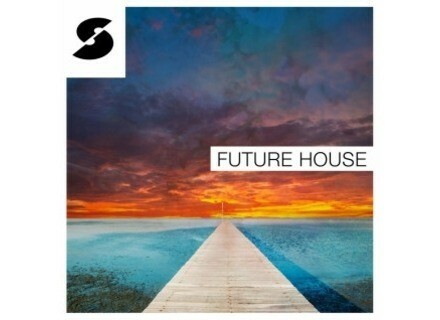 Future House, Techno / House / Trance Sample from Samplephonics. 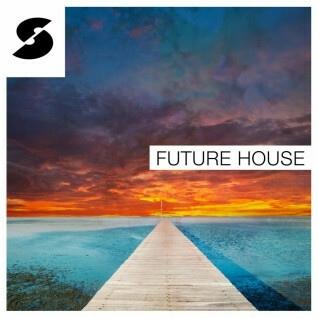 Future House is described as a pack of loops and samples that feature funky house drums, deep groove-shaking bass lines, pulsing synths and choppy vocal samples. According to Samplephonics, it aims at putting "contemporary production straight to your fingertips", whether you produce classic deep house or fresh EDM. It is said to combine complex textures and melodies with all-out party bangers, with included live percussion loops to give the pounding drum machines even more groove. All sounds in this pack come with Samplephonic's royalty free license, and are available for download only as Wav, Rex2, Acid and Apple Loops files, with each format pack available for £34.70. Each of the one shots is formatted to drop straight into Ableton Sampler, NNXT, Halion, Maschine, Kontakt, Motu MachFive, SFZ and EXS24. More details, sound demos and even a set of 10 free demo loops are available from the Samplephonics website. Sound Dust SteelDrumPercussionRoom Sound Dust presents SteelDrumPercussionRoom, the fourth volume in their Modular Chaos Engine series for Kontakt 5.5.1+. Loops de la Crème Boutique Drums Loops de la Crème present Boutique Drums, a new collection of samples directly recorded from Roland's new JU-06 and JX-03 Boutique synths.